Private tours for individual customers are our specialty. In fact, StayPoland is one of few Polish travel agencies giving full travel support, not only to groups but also to individual customers: single travelers, couples, families, and small parties. In the last few years we have experienced a great surge in individual tours to Poland and are proud to have maintained a high standard of service. Most of our customers come from English-speaking countries like the USA, Britain, Australia, Canada, Ireland, New Zealand, and South Africa, as well as other countries like Germany, Italy, France and Spain. For our exclusive tours we have hosted guests from more than 50 different countries, and for hotel and car bookings, our customers come from more than 100 countries around the world. 15-25% of our customers are aware of their Polish roots and wish to visit the fascinating country to discover their heritage. 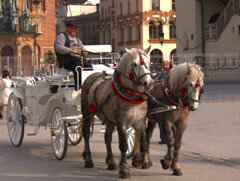 Our personal travel assistants help with itineraries covering the best of Poland: Warsaw, Krakow, Wieliczka, Auschwitz, Czestochowa, Gdansk, Zakopane, and Wroclaw. More travelers are taking a further step by requesting for unusual hotels, unknown but exciting locations, authentic cuisine, adrenaline sports or Polish curiosities. 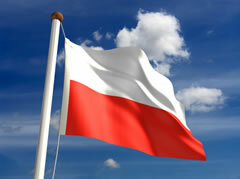 If you want your tour to be unique, download our regional Poland travel e-books and consult the “explore!” section. —— If you want something that has been thoroughly tested, representative and objectively outstanding, consider our featured itineraries. For those whose time is limited, it might be better to focus on one country. But if you want to see the whole region, we will be pleased to support you with tour extensions to neighboring countries: the Czech Republic (Prague, Cesky Krumlov, Carlsbad), Slovakia (Bratislava and the Spis region), Lithuania (Vilnius, Trakai, the Mountain of the Crosses), Germany (Berlin, Dresden), Ukraine (Lviv) or even Romania (Transylvania) and Austria (Vienna, Salzburg).